I posted this image the other day, and hundreds of people immediately shared it on social media. My comment box filled up with "Amens!" and anecdotes about hating the dreaded "busy work" from their time in school. Something about this message from Todd Whitaker resonates with a lot of people- educators and non-educators. The truth is, everyone remembers the "busy work" they were assigned in school. They remember a variation of that same worksheet being put on their desk, due at the end of class, and then seeing their teacher sit at their desk to grade yesterday's worksheet. 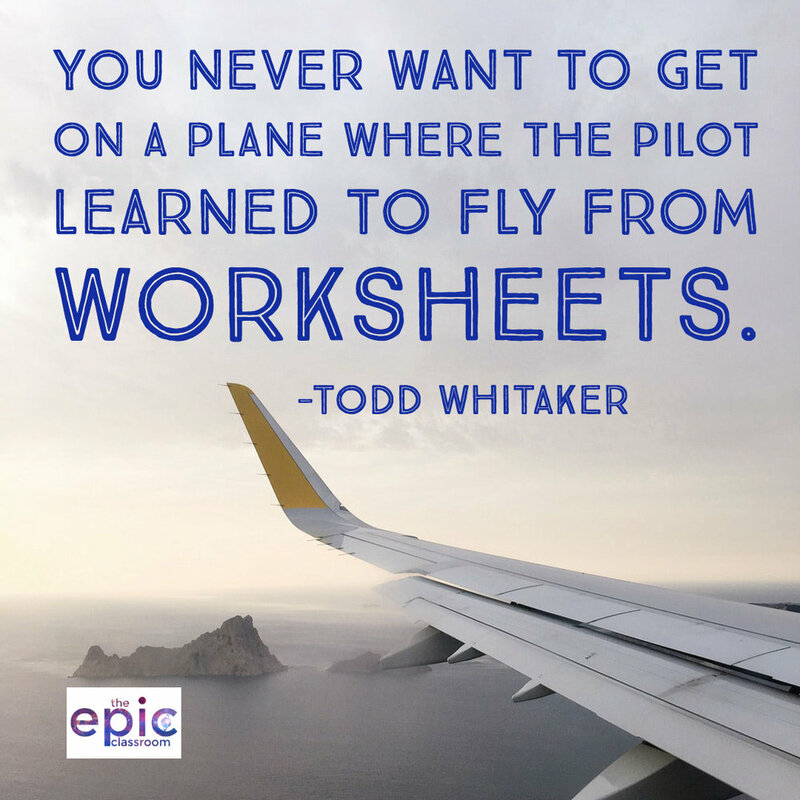 Nothing about the worksheet excited them, or inspired them to learn more. It was another school task to complete out of obligation rather than true engagement. However, there were also a quite a few commenters who said things like, "Well airline pilots didn't have to learn grammar," or, "I bet those pilots had to take physics class. And I bet they practiced equations using worksheets." I think those commenters have a valid point. As teacher, I know that some types of content are best reinforced by practice. When I teach grammar to my ELA students, I demonstrate it on a screen at the front of the room. I sometimes find authentic purposes for their work, like having them create subtitles for a video or have them write children's books for elementary students. However, I also give them practice worksheets. They're not a lot of fun. They're not nearly the most engaging work we do in my class. And I don't particularly like grading them. But they are one of the best ways for my students to practice their learning. And I have found time and time again that there is a direct correlation between my students success on assessments and the amount of practice I allowed them with the content. You'd be naive to say we don't need worksheets in schools. Yet, I think they are only truly effective if students do the learning first. Worksheets reinforce good teaching, but they are not teachers. 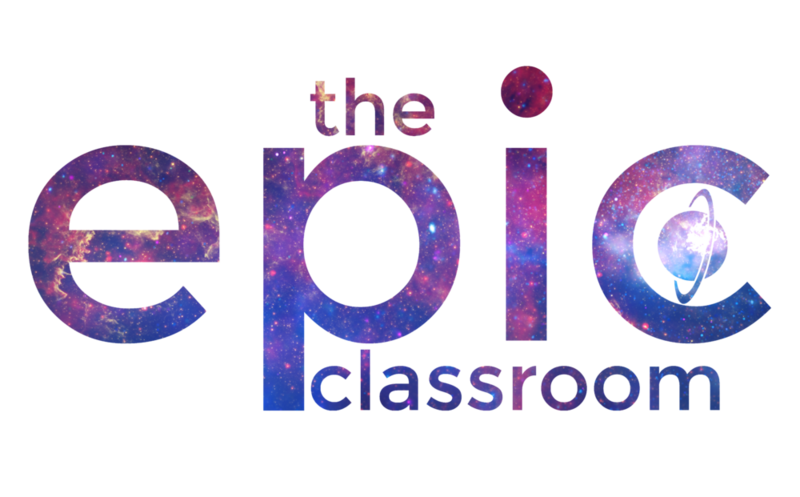 Learning happens when students are engaged; when whatever is happening in the classroom is meaningful to them. Whether this is through an epic project or tied to an activity kids can get excited about, learning needs to have a level of authenticity for students to engage in it. This is why I love the power of story-centered learning. When my students feel like the work they are doing is important, and that they are working towards something meaningful to them, there is a desire to learn more. Like I said earlier, I have my students create subtitles for videos they create. For one project, they created documentaries for World War II veterans, and aired the films at a local theater in front of the vets. Because the audience was so authentic and public, students wanted their work to be exemplary. This meant the subtitles had to be perfect. I used this opportunity to teach grammar. And to reinforce that teaching, guess what the students needed to do? However, because students were hooked by the project, completing these worksheets made sense. I think the real learning from this unit came from the project, however, worksheets assisted in that. When pilots learn to fly, I'm guessing the best learning came from experience. Practicing in the cockpit. Working in simulators. Sitting beside an instructor. But they also probably did some worksheets along the way. So the question for educators is: How can we motivate students so that the reinforcing work of worksheets isn't a meaningless task, but something to make students better at whatever it is they are learning?